Are your children going to have their school break soon? 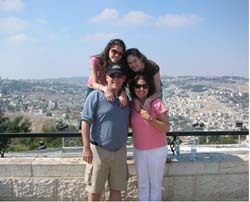 Then it's time for you to take a leave from work and book one of many Israel family tours right away! Families from all over the world visit the Holy Land and I was lucky enough to be among them. It's simple; going on a vacation together with the family will give you some time to bond. Whether you're hanging out on the beaches of Tel Aviv or traveling in a car on your way to the Red Sea, you will all have the chance to be with each other together longer than you normally do. Back at home, you may be busy working and your kids may always be at school. Travelling together gives you more chance to communicate and reconnect with your children, and who knows, you will also discover surprising things about them. 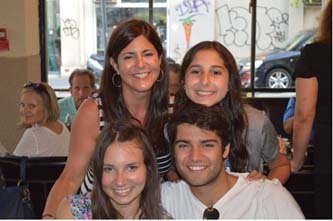 By booking Israel family tours, you and your family can discover great things and explore new destinations together. These activities will help build wonderful memories that parents and children can cherish throughout their lives, paving the way to a strong relationship between the family members. 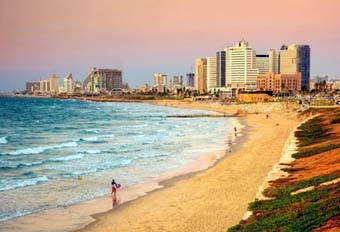 What makes Israel the perfect destination for family vacations is that the country has a lot to offer and can cater to a variety of travelers. 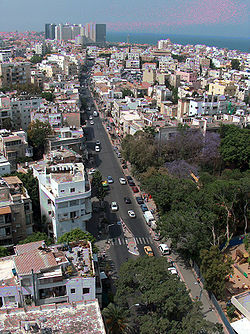 If you have teens in the family, they can check out Tel Aviv, which is the country's party capital. The adults can check out the quaint cafes in many parts of the city or perhaps take pleasure in wine tasting tours in one of the hundreds of wineries in the country. You can also book Israel family tours with itineraries that will take the children to an awesome discovery of cultural and Holy Land historical sites. It is undeniable that traveling definitely enables a person to see the world with an open mind. By being exposed to a variety of cultures as well as being experienced in the attitudes and personalities of different nationalities, a constant traveler will have a greater understanding of the world, environment, society and humanity, among others. But in the case of children, they cannot just venture out and discover the world on their own at a young age. While "child travelers" are possible, there are still issues regarding their safety and security. So it's best that you are with your children during the early years of their traveling lifestyle. With Israel family tours and vacations, children do not just broaden their horizons; they also gain confidence and courage in discovering the world they live in because they start their journeys together with trusted adults. In short, they can marvel at the world without worrying about safety and security because their parents are with them. Of course, they will soon have to go out on their own to discover the world for themselves. The best thing about being in Israel is that the nature truly holds a rich and diverse mix of culture. This is because the country plays a significant role in at least three major religions of the world. By exposing children to the realities and wonders of different cultures, they will become open-minded individuals who don't have biases and prejudices to people and society.